An open face motorcycle helmet from AGV new for 2016. 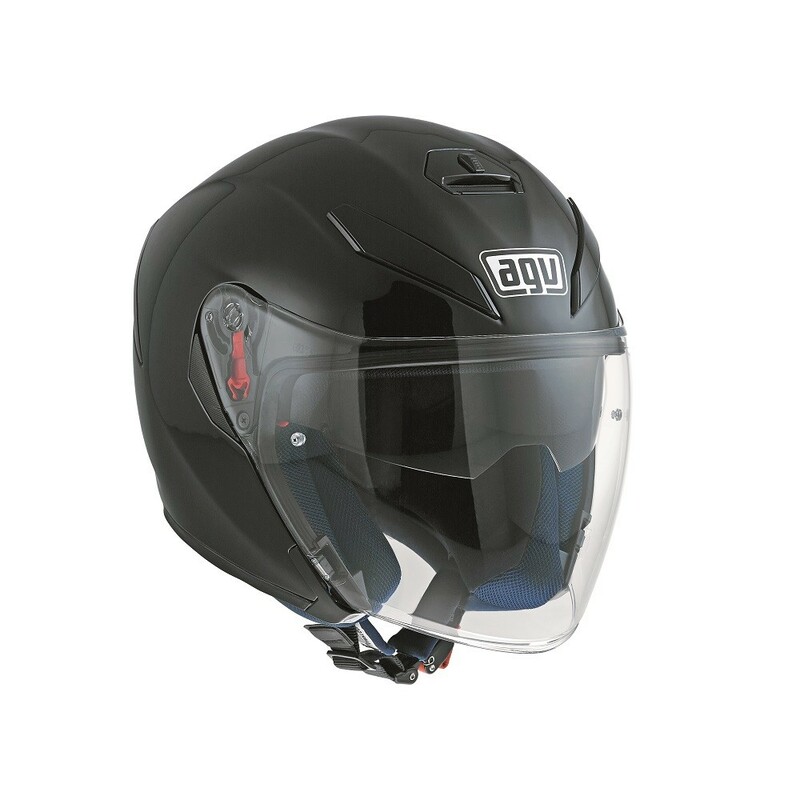 This open face helmet has up to date technologies and offers the best comfort, safety and style. 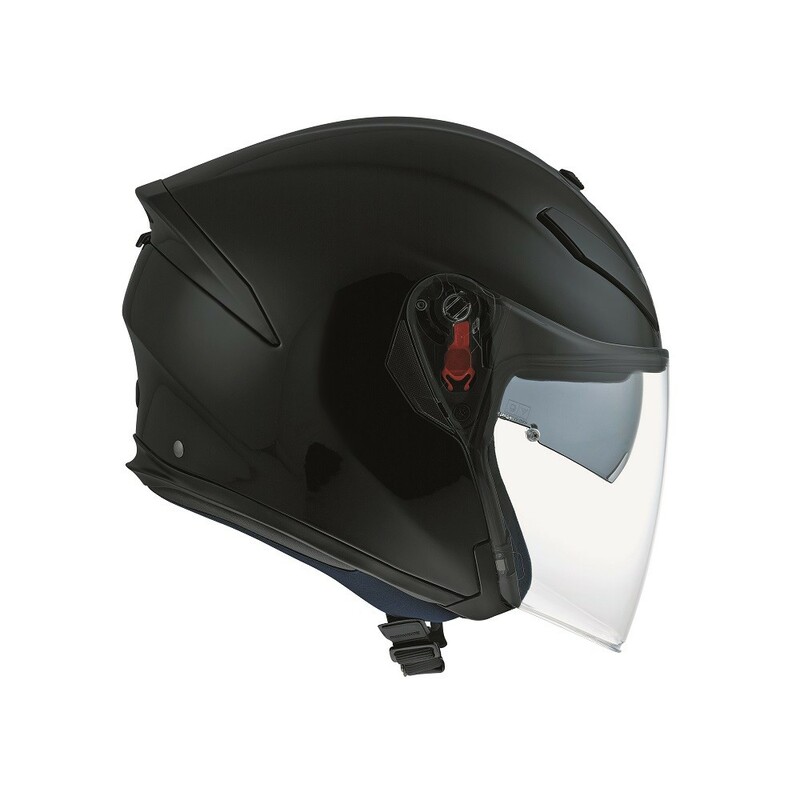 External shell in CAF (Carbon-Fiberglass) available in 2 sizes, and inner EPS lining available in 4 sizes with 4 different densities. Shell and EPS dimensions optimised using the FEM (Finite Elements Method) analysis. Ventilation system: IVS consisting of 2 front air vents, and an air extractor with ON/OFF switch developed in a wind tunnel to optimise and adjust ventilation. Central front air vent built into the shell profile with direct high air flow channel.